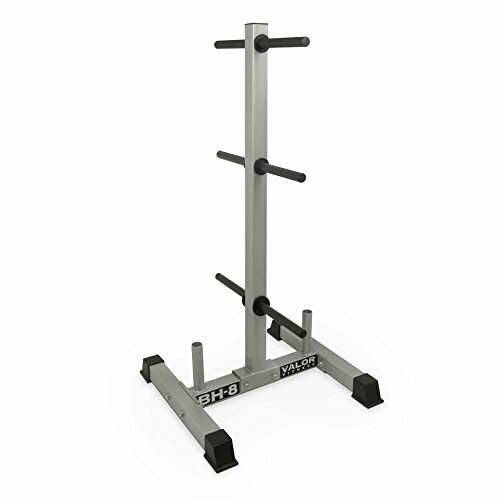 BH-8 Features: -Standard plate storage rack offers six positions to store plates, both standard or Olympic and two places for standard bars. Max weight is 135 lb. per peg.